First stop is Delos. The birthplace of the Olympian Gods- Apollo and Artemis. Known for its monuments and archaeological remains. The cruise starts at Platys Gialos port. 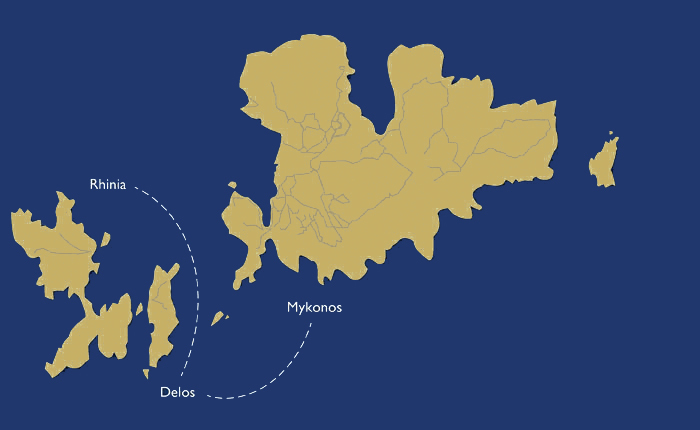 The archaeological monuments will be visible from the sea while reaching Delos. The small port is the first stop for swimming and visiting the archaeological museum. 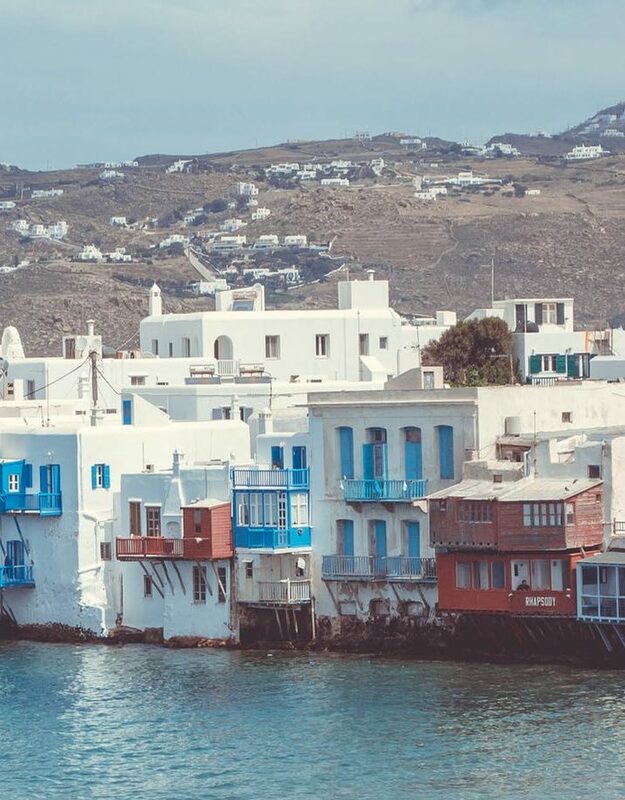 Sailing through the island will reveal beautiful beaches and the old city’s archaeological remains. Next stop is Rhenia Island. Blue waters and an untouched ancient landscape, which can only be reached by boat. An island that is just a few miles away from the cosmopolitan Mykonos and has numerous secret beaches. Swimming and snorkelling is the best way to explore its most beautiful coasts. *All the cruises are private and customized.